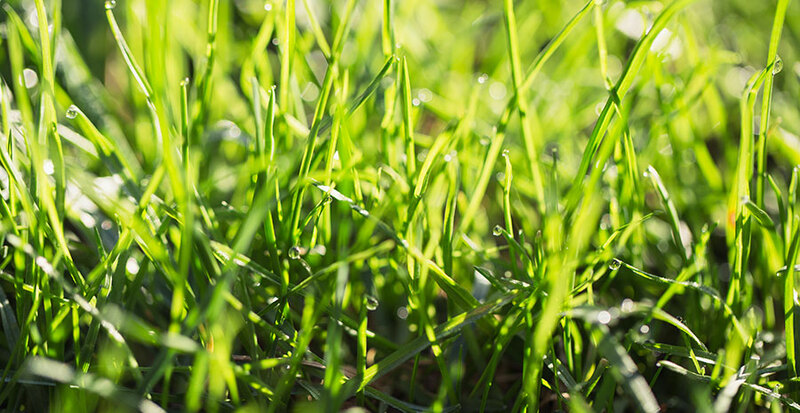 The most common lawn type is Fescue turf grass which stays green year-round in most California climates. Fescue growth slows down in the winter, decreasing the need for mowing to once every two or three weeks instead of every week. It’s best to avoid mowing your lawn when it is soggy after rain since the mower gets easily clogged and the tires can leave tracks. In all seasons, raising the mower height to 2 to 3 inches for Fescue allows the leaf blades to shade the roots which results in healthier roots and less water use. Winter rains will normally provide the moisture needed for Fescue. If we get dry spells of 10 days or more during the winter, irrigate Fescue lawns once or twice per week. If you notice the soil is soggy or you see mushrooms growing, cut back on watering. If the turf looks dry, increase watering. For best plant health and appearance continue fertilizing Fescue every 8-10 weeks with a 15-15-15 or 21-7-14 blend. Warm Season grasses such as St. Augustine and Hybrid Bermuda go into dormancy during the winter. Even though the green color fades, the benefit is Warm Season grasses require NO mowing, fertilization or water during the winter months! Take a break! The exception to the “no winter maintenance rule” for Hybrid Bermuda is when Rye grass is planted over the top of the dormant Bermuda in the fall. Many golf courses do this in the winter to maintain a vibrant green color and provide a quality playing surface. Weekly mowing and irrigation is needed for turf areas overseeded with Rye grass since it thrives in cool weather. In the cooler winter months, weeds can still sprout, although at a slower rate than the other three seasons. A small area of weed infestation can be solved with regular pulling by hand. Larger areas of weeds may require spraying as well as some weed species, such as Nutgrass, are hard to get rid of by hand pulling. If you choose to spray, apply according to the label and consult your local Garden Center by bringing a sample of the weed for their guidance on what is the best product for the situation. An internet search can also be helpful to identify unknown weed types and the best product to eradicate them. To increase the amount of air and water getting to the plant plus decrease run-off from your lawn, aeration is a recommended annual maintenance procedure. This is particularly true for high traffic areas that get compacted. Most equipment yards rent power aerators. Beforehand, mark all sprinkler heads to avoid the frustrating work of repairing heads broken by the aerator! In all seasons, visually observe your sprinkler system every month. Look for sprinkler heads that are broken or need adjustment. Look for areas that have run-off. Change those stations to shorter, more frequent irrigation settings. Look for plants blocking the irrigation pattern and trim back accordingly. “Plants don’t waste water, people do” is the truth if we fail to regularly inspect and maintain our irrigation systems.